….Then she closed her mouth, looked again at the cat-eyed boy, and lacing her fingers, spoke her next words very slowly to him. ….“Listen. Go around to the back of the hospital to the guard’s office. It will say ‘Emergency Admissions’ on the door. A-D-M-I-S-I-O-N-S. But the guard will be there. Tell him to get over here on the double. Move now. Move!” She unlaced her fingers and made scooping motions with her hands, the palms pushing against the wintry air. ….“You left out a s, ma’am,” the boy said. The North was new to him and he had just begun to learn he could speak up to white people. But she’d already gone, rubbing her arms against the cold. ….Like two charging bulls they came together, and like two wolves sought each other’s throat. Against the long canines of the ape was pitted the thin blade of the man’s knife. ….Jane Porter – her lithe, young form flattened against the trunk of a great tree, her hands tight pressed against her rising and falling bosom, and her eyes wide with mingled horror, fascination, fear, and admiration – watched the primordial ape battle with the primeval man for possession of a woman – for her. ….As the great muscles of the man’s back and shoulders knotted beneath the tension of his efforts, and the huge biceps and forearm held at bay those mighty tusks, the veil of centuries of civilization and culture was swept from the blurred vision of the Baltimore girl. ….When the long knife drank deep a dozen times of Terkoz’ heart’s blood, and the great carcass rolled lifeless upon the ground, it was a primeval woman who sprang forward with outstretched arms toward the primeval man who had fought for her and won her. ….He did what no red-blooded man needs lessons in doing. He took his woman in his arms and smothered her upturned, panting lips with kisses. ….For a moment Jane Porter lay there with half-closed eyes. For a moment – the first in her young life – she knew the meaning of love. ….When I first travelled to Europe [from Australia] as a student in 1983 I was thrilled, certain that I was going to the centre of the world. But as we neared Heathrow, the pilot of the British Airways jet made an announcement I have never forgotten: ‘We are now approaching a rather small, foggy island in the North Sea.’ In all my life I had never thought of Britain like that. When we landed I was astonished at the gentle quality of the air. Even the scent on the breeze seemed soothing, lacking that distinctive eucalyptus tang I was barely conscious of until it wasn’t there. And the sun. Where was the sun? In strength and penetration, it more resembled an austral moon than the great fiery orb that scorched my homeland. ….The flames leap merrily as I write. They must consume all when I am done. They may take me too, in the end, but they will keep me warm first. Perhaps I will be found like poor Brother Severus, whose body vanished into ash and left only his feet and one hand still in the chair! What devil took him so, that charred him even before he went to hell? ….Am I afraid of the other place? What fool is not? Yet I have raised great churches to set against my sins. It is my fervent hope that there is no eternal torment waiting for me now. How they would smile then, the dead, to see old Dunstan cast down! Made young again, perhaps, to be torn and broken for their pleasure. I could bear it better if I were young, I know. How those saints would laugh and shake their fat heads. I wonder, sometimes, if I can feel them clustered around me, all those who have gone before. Like bees pressing on a pane of glass, I feel their souls watching. Or perhaps it is just the wind and the scratching of woodworm in cantilevered joists. ….Settle, Dunstan. Tell the story. I’ve never actually read Tarzan! I did listen to A Princess of Mars on audio a while back which I enjoyed. Although I have read a few ERB paperbacks many years ago, my verdict on his adventures has never changed — unputdownable, as much for his style as for the story. Oh, it’s been a bit since you’ve done a bookish selfie, FictionFan! This is great. I’m finding myself drawn to the Toni Morrison, but I think they’re all worth the time and effort. I’ll be interested in what you think. Of course I’m always tempted. Love this bookish selfie and wondering if I’ve seen you do one before, or it’s been a while? Oh no! I wonder if it was all the talk about his discolored teeth! I’ve not read any of these, though I have seen several movies about Tarzan – does that count? Ha! I’ll be curious to read your Song of Solomon review when you’re finished. 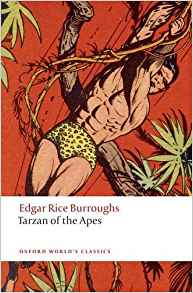 I’ve never read any other Burroughs although I’ve always been intrigued by Tarzan and the Ant Men. Whoa Whoa Whoa-are you saying that the story of Tarzan originally came from a book???? I had no idea! Me neither till quite recently, but I’m discovering that so many of these old films started out as books. I bet they had to tone it down a lot for the movies though – loads of violence and some very outdated attitudes. Still great fun though! Based on the quoted portion I really want to read Song of Solomon! There’s something about Dunstan that intrigues me. Maybe it’s just the blurb you selected, but I find myself curious over what kind of story this is … and where the plot goes from here. I’ll let you read it first and then come to a clearer decision! I love the quotes you’ve chosen! All four of those books sound tempting, in different ways…I’ve never considered reading Tarzan, but maybe I should give it a try. I could actually quite happily pick up any one of these this week but I think the Toni Morrison perhaps wins by a whisker. oh goodness, think you lost me somewhere in those volumes of quotes. guess that’s a good thing? good job! 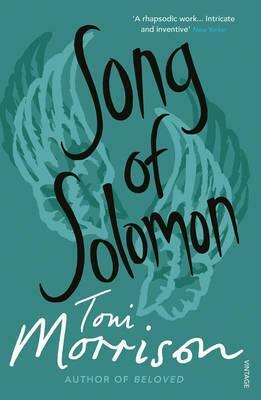 I loved Song of Solomon. Can’t wait to hear what you think of it. 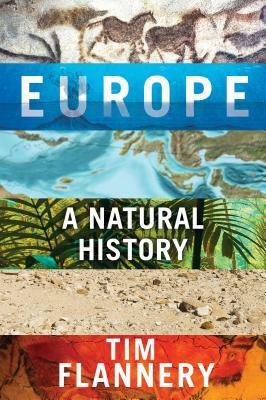 I’m tempted by the Europe book. These all sound great! I don’t know if you could read Tarzan aloud and keep a straight face or not, though. Well, if you like the kind of bloke who drags his woman off by her leopard-print, one-shoulder dress, he’s probably perfect! I loved Dunstan and found it properly entertaining. I went to Catholic school and Dunstan was the name of one of the houses, and little did those kids (Not me, I was in Cuthberts) know their house was named after a pretty dodgy badass. 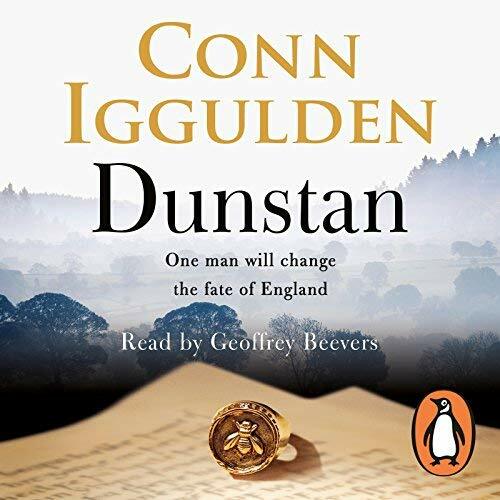 I have a copy of Dunstan by Conn Iggulden, that I really must get to soon!